If you have suffered an accident or an injury then you may be able to pursue a personal injury claim, Wherever it was - at work, on the road or out in the public, Accidents and Compensation Lawyers can help. There are many different types of Accident Compensation claims. An extensive list is provided at the bottom of this page. To find out if you are entitled to claim compensation for your accident, please complete your free legal enquiry form. The driver of a vehicle (such as a car, van, bus, truck and other motor vehicles) involved in a road accident caused by another driver. The rider of a motorcycle/motorbike or as a passenger involved in a motorbike accident. A passenger in a vehicle involved in a road traffic accident caused by either the driver of the vehicle you were travelling in or by another driver, e.g. passenger in a taxi, passenger on a bus or travelling in a friend's car. A pedestrian or a cyclist hit by a vehicle. A common injury from a road traffic accident is Whiplash, which is caused by a sudden and unexpected jolt, for example from your car being hit from behind. Some common symptoms for whiplash include neck pain, headaches, shoulder pain, back pain, loss of feeling in arms or hands and dizziness. It is advisable to seek medical advice from your GP or local hospital as soon as possible following any injury. Involved in a forklift truck (FLT) accident. Construction site accidents, including scaffolding accidents and ladder accidents. Slipping accidents at work, e.g. slipped on a wet floor with no warning sign. Not been provided with protective equipment. Had a road accident whilst delivering goods. Used unsuitable or faulty equipment provided by the employer. Manual handling injuries, e.g. had to lift heavy objects which caused an injury. Been provided with inadequate training. Been injured as a result of mistakes made by other employees or other people. Find out if your entitled to claim compensation for your work injury by completing your free online legal enquiry form on the left. If you have been involved in an accident in a public place and suffered a personal injury you may be entitled to make a public liability compensation claim. If you have been injured in a public place, and it wasn’t your fault then you could be entitled to make a compensation claim. If you have suffered an injury in a shop, supermarket or anywhere outside your home then you could be entitled to make a compensation claim. If you have been involved in an accident of any description that was not your fault and you have suffered a personal injury as a result, please complete our free online legal enquiry form on the left. If you become Totally and Permanently Disabled, you can claim your superannuation early. Most superannuation funds also have a TPD insurance component. Therefore in addition to receiving your super early, you may be entitled to a lump sum payout through the TPD insurance component. As referred to above, Accident & Compensation Lawyers cover ALL types of accidents and injuries. If you have had an accident then you could be entitled to claim compensation. Our no obligation service is completely free of charge. So find out what compensation you could receive for your personal injuries by completing our FREE online legal Enquiry Form. * Slip Trip and Fall Accidents. Slip trip and fall accidents are one of the most common types of accidents people have. Most of these can occur in shopping centres, supermarkets and grocery stores. A simple slip can cause very serious injuries such as back injuries, paralysis, broken bones and head injuries. Many slips and trips happen in the working environment due to poor health and safety regulations.Slips are very common in public places where they may have walked on wet surfaces, oil or other slippery material on the floor. In the working environment someone may half spilt some liquid and not cleaned it up properly, a simple error like this could end up in someone else slipping and causing serious harm to themselves. * Agricultural Accidents. Whether you have been injured due to your employer's actions, those of a work colleague or due to dangerous machinery, we can help. * Industrial Disease. Industrial diseases may not appear immediately and the symptoms may develop later on. However, in the working environment people can be affected and can sometimes be classed as industrial disease. * Accidents in a Public Place. The safety of all the public and visitors to privately owned land or property is the responsibly of those individuals. Insurance is in place for the most part to ensure that any injured parties are able to make a personal injury compensation claim in the event of an injury. * Accidents in shops and restaurants. Shop premises at all times need to be free from any slipping hazards. This is the responsibility of the owner; managers. A wet floor due to spillage or unfinished cleaning must be properly signed and erected to alert members of the public to the hazard. If you have suffered an accident due in your local supermarket or shopping centre then you may be entitle to make a personal injury compensation claim. * Faulty goods and product liability. These cases arise out of situations where products are defective and cause injury as a result of the defect. Have you been injured as a result of purchasing a standard consumer product which is defective? You may be able to make a personal injury compensation claim from the manufacturer/supplier as well as individuals/companies through whom the goods may have passed. * Solicitors' Professional negligence. If you have had a claim before and you believe that your solicitors did not act in your best interest, you may have a claim. Perhaps your claim did not succeed because your solicitor failed to do bring the claim within the required limitation period. * Medical negligence. Did your doctor or nurse make you worse, did they put your recovery in reverse? You may have a claim if they did. * Accidents within the home. It is possible to pursue a claim against a householder's insurance company. For example, you may have been injured by a piece of glass whilst visiting a friend, neighbour, or even a relative. In which case, you may have a claim. * Animal Attacks. You may have a claim against the owner or keeper of an animal, if it attacks you. - ask a specialist compensation solicitor to assess your case. If you need legal advice regarding Accidents & Compensation Law, then please complete your free legal enquiry form on the left, and we will put you in touch with a Accidents & Compensation Law lawyer nearest you, who can help you with Accidents & Compensation Law. Jump to ‎: Title: Accidents and injuries, Vol 2, Lawyers practice manual NSW. About: Covers workers compensation, car accidents,. The Australian Lawyers Alliance (ALA) has and remains actively involved in. under the provisions of the Accident Compensation Act 1985 (“the Act”). We have. find LEGAL answers - Accidents and Compensation - Workers. About: Information about lawyer/client relationship, criminal law, including bail. Also covers family law, accidents and compensation including. Thankyou for the opportunity to present our views on the Accident Compensation Act 1985 ('the Act') on behalf of Harwood Andrews Lawyers. We have attached. accidents and medical negligence. Information on injuries that arise out of or in the course of employment, which are dealt with under workers' compensation. Australian Lawyers Alliance (ALA) refer to, and rely upon, the submissions that we previously prepared for the Accident Compensation Act (AC Act) Review and.
. that is referred to the Accident Compensation Conciliation Service (ACCS) for conciliation. Can my lawyer attend my conciliation conference with me? No. The role of the Motor Accidents Compensation Tribunal is to resolve or. If you do engage a lawyer, please advise the Tribunal so that we can. The purpose of an order for costs is to compensate the person in whose. by the same solicitors and counsel, there is a convenient “rule of thumb” that the. Act 1998, the Motor Accidents Compensation Act 1999 and other legislation. 1ACCIDENTS 11.Accidents on private and public property This. Your solicitor will then proceed to pursue your interests according to the Motor Accidents Compensation Act 1999 (NSW). (d). Practical steps at the scene of the. Our compensation lawyers have expertise in work injury compensation (Workcover and Comcare), TAC, and road accident injuries, medical negligence,. Compensating crime victims within New Zealand's no fault accident. The scheme provides compensation for those who suffer personal injury and. There is no need for lawyers; nor are there the other expensive trappings of a. The New South Wales Workers' Compensation System: problems. Workers Compensation and Motor Accidents Compensation in NSW,. Industrial Relations instead of the court, with non-lawyers being eligible for appointment. The following words / phrases were the subject of the Commissioner's complaints: • Injury Compensation Lawyers. • Personal Injury News. REGULATED COSTS – MOTOR ACCIDENT COMPENSATION. The costs of a solicitor, for example, include professional fees and. - A public perception of 'ambulance chasing' personal injury lawyers and the. to workers' compensation…or to submit an article to a legal journal proposing an. This is because Legal Aid Queensland cannot represent you in a personal injury claim and getting advice from a lawyer will start the time limit. by T Drabsch - 2005 NCOSS suggests that a wider accident compensation scheme be implemented, such as in New Zealand.9. 7. Australian Lawyers Alliance, 'Carr forcing accident. NSW Court of Appeal - Recent Decisions of Interest - Supreme Court. Workers' Compensation: whether injury sustained "in the course of. of solicitor to act upon instructions of client constitutes special grounds. Form 6C- Ch- Notice request -Accident Compensation Act (PDF. Date of Document: Filed on Behalf of: Code. Australian Lawyer name. Telephone: Address. Reference: In the matter of the Accident Compensation Act 1985. Submission to the policy review of Comcare's permanent impairment. Background. The Australian Lawyers Alliance is the only. injury lawyers decided to pool their. specialise in the area of commonwealth compensation claims. inf m al co cilia tion a g e nt reso n ss - Accident Compensation. Coles Myer. Bernard Smith. Australian Lawyers Alliance Victorian State Conference. Lewis Stephens. Melbourne University. Accident Compensation Act Review. Amounts of compensation will vary from case to case. A lawyer will be able to provide advice about personal injury compensation. Accident Compensation Act 1985 and the Occupational. Health and Safety Act. solicitors, private investigators and others including: • the workers' employer at. Submission - Blair Williams - Disability Care and Support Public. Since. 1987 he has acted for plaintiffs seeking compensation for personal injury. As a solicitor he has extensive experience of dealing with injured people and. Claims Assessment & Resolution Service (CARS) - Motor Accidents. Accident Notification Form. NSW Motor Accidents Compensation Scheme. They must be lawyers with at least 10 years experience. Cetot v City Motor Holdings - Workcover Judgment (PDF 27KB - 9. Notice of Injury and Make Claim for Compensation As Required – Accident Compensation. Act s. 82, 102, 103. ---. APPEARANCES: Counsel. Solicitors. For the. Form 6C- Ch- Notice request -Accident Compensation Act (WORD. - OF THE ACCIDENT COMPENSATION ACT 1985. IN THE MAGISTRATES' COURT Court Number. Australian Lawyer name. Telephone: Address. Reference:. Attachment to submission 305 - Australian Lawyers Alliance. Motor Accidents Compensation. Act 1999 (MACA) s131. No compensation for NEL payable unless assessed at > 10% whole person impairment (using AMA. - And this farce can continue for the victims of a traffic accident for 3 or more years until a resolution is arrived at. Even compensation lawyers working in this arm. Yilmaz v Ozden Kurucu (t/a Vulcan Bricklaying) and VWA (PDF. of or in the Course of Employment – Factual Issues – Accident Compensation Act ss. 82,. 93. ---. APPEARANCES: Counsel. Solicitors. For the Plaintiff. Ms A.E. L.
A comprehensive guide designed to help you handle your own. Westside Community Lawyers Inc. accident. Court cases for minor civil claims do not involve lawyers unless. To claim compensation, a person injured in a. Motor Accidents Compensation Act 1999 / presented by Audrey Balla. NSW Young Lawyers. 1999 Motor Accidents Compensation Act 1999 / presented by Audrey Balla & Geraldine Daley NSW Young Lawyers, The Law Society of New South. INQUIRY INTO THE EXERCISE OF THE FUNCTIONS OF THE. The Lawyers Alliance approached this particular submission via the expertise and. Relevant to the Motor Accidents Compensation Act 1999, this involves: (a). Workcover & workers compensation. 6 links for "Workcover & workers compensation" are available. Links 1-6 of 6. State government. Accident Compensation. under the Motor Accidents Compensation Act 1999. 2. Motor Accidents Authority or any public servant in relation to their. The assessors are lawyers who are. Submission. No 23. INQUIRY INTO PERSONAL INJURY COMPENSATION. LEGISLATION. Organisation: Australian Lawyers Alliance. Name: Mr Ben Cochrane. Receiving an injury doesn't mean you can automatically claim compensation. You may not be able to. you can call our office or ask a solicitor to act for you. You are injured in a crash where a registered SA vehicle owner, driver or. There are time limits on pursuing CTP claims so contact Allianz or your lawyer for clarification. For information on entitlement to compensation for other treatment or. There, he was involved primarily in family law and worker's compensation. was employed as a solicitor with the Transport Accident Commission, conducting a. Description: Information about lawyer/client relationship, criminal law,. Also covers family law, accidents and compensation including workers. Submission 305 - Australian Lawyers Alliance - Disability Care and. Australian Lawyers Alliance submission to the Productivity Commission. accident compensation schemes would continue to be covered by those; however,. for compensation. A lawyer can advise you whether or not you have. injury compensation in the form of tax-exempt or tax-free periodic payments, rather than a. Accident Compensation Act Review. Michael Brett Young. CEO. Australian Lawyers Alliance (ALA). Marcus Fogarty. Representative. NSW Court of Appeal - Decisions of Interest - February to June 2010. Procedural fairness; whether solicitor who was unfamiliar with civil. the Workplace Injury Management and Workers Compensation Act 1998. Submission 3 - Ian M Johnstone - Disability Care and Support Public. Personal injury and disability compensation reform: the need to provide for. plaintiff must find a lawyer to take on the case on reasonable terms. Some lawyers. Comparison of Workers' Compensation Arrangements in Australia. 2.Jurisdictional responsibility for workers' compensation 32. 2.Workers' compensation – key features of schemes 34. 2.3 Definition: injury 36. 2.4 Journey. Apply for your accident compensation in just 60 seconds. Our personal injury lawyers are ready to help you claim your compensation on a No Win No Fee basis. Claim now: Accident Compensation. Report 43 (1984) - Accident Compensation: A Transport Accidents. from the Perspective of the Practising Lawyer: Personal Injury”, address to. Accident Compensation Act Review. Accident Compensation Conciliation Service. Australian Lawyers Alliance · Australian Medical Association. Styles v Red Rooster Foods Pty Ltd - Workcover decision (PDF. attributable to serious and wilful misconduct – Accident Compensation Act s 82(4). ---. APPEARANCES: Counsel. Solicitors. For the Plaintiff. Mr R Lawson. ETHICS AND THE PERSONAL INJURIES LAWYER: COMPLIANCE. Lawyers with solutions, commitment and experience. ▪. Compensation doesn't happen by accident. ▪. You have a right to fair compensation and we will get it for. 1. compensation. A lawyer can advise you whether or not you have a valid claim. The compensation or damages are for your personal injury. Child Injury Prevention. NSW Motor Accidents Compensation Scheme. If a claimant is represented by a lawyer at CARS, the claimant may. Department of Education, Employment and Workpalce Relations. and lower premiums) to adopt best practice in preventing workplace injuries. 4. Faster compensation: lawyers become peripheral as key disputes are medical. If you suffer a work-related injury or disease and need medical treatment and/or. work because of the injury, you may be entitled to claim workers' compensation. You will need to speak to a lawyer because this area of law is complicated. Home · Laws & Regulations · Accident Compensation; Prosecution Result Summaries. lawyers, businesses and occupational health and safety professionals. Submission 3 - Ian M Johnstone - Disability Care and Support. File Format: Rich Text Format - It does not provide rehabilitation and compensation for all accident victims fairly. Some lawyers require an agreement under which a large proportion,. A GUIDE FOR PEOPLE WHO HAVE LOST A RELATIVE IN A. Party (CTP) insurer of the vehicle who caused the accident within 6. advisable to talk to a solicitor. Accident Compensation to Relatives Claim Form from the. Criminal injuries compensation for domestic sexual assault. into one of the few 'expansion potentials' for lawyers. This paper will. The payment of compensation for injury to victims and their dependants by the. State is a. The Motor Accidents (Compensation) Act or MACA establishes the Northern. legislation to reflect changes in terminology concerning lawyers that have. POLICY REVIEW OF COMCARE'S PERMANENT IMPAIRMENT. We also note that the Accident Compensation Act Review Final Report,. of the guides to workers' compensation and personal injury lawyers. The proposed Regulations will replace the Accident Compensation Regulations. Australian Lawyers Alliance. • Law Institute of Victoria. Compulsory Third Party Personal Injury Claim Notification (MANF), October. A lawyer can give you independent advice about whether you have a claim and. entirely unwarranted, that people who suffered an injury could 'win' compensation only to win little at all - because their lawyers could take the bulk of the. Even though the number of personal injury compensation claims may be. settlements.56 The Australian Lawyers Alliance,57 an association of lawyers and. In a solicitor's bill, a disbursement may include payments made on lodging. Compensation for a wrong done, or an expense or loss suffered as a result of the act. A statement to the court by the victim of a crime setting out details of injury,. aCCIDENt COMPENsatION aCt REVIEW - Accident Compensation. AC Regulations Accident Compensation Regulations 2001. ACCS. Accident. Marcus Fogarty – Representative, Australian Lawyers Alliance. 29. The SRG. Weekly Payments – Effect of Common Law Settlement – Accident Compensation Act ss. 99. (11) – (14),. APPEARANCES: Counsel. Solicitors. Structured settlements are a way of paying compensation for personal injury. of $565000 to pay his lawyers, pay off his debts and purchase some equipment. The Australian Lawyers Alliance (ALA) has provided preliminary. responsibility) and Motor Accidents Compensation Act 1999 (the. Finance. Headland v Caelli Constructions (Vic) Pty Ltd - Workcover decision. be taken into account – Accident Compensation Act ss 5, 93DA (1) (Reprint no. 15). ---. APPEARANCES: Counsel. Solicitors. For the Plaintiff. Mr J Valiotis. NSW Court of Appeal - Decisions of Interest - August to December. Whether tow truck driver arriving at accident scene is a 'common carrier';. Proceedings involving the Workers Compensation Act 1987 s 151Z;. Obligations of confidence; plaintiff's solicitor had acted for other parties against. regular seminar speaker on the operation of the motor accident compensation scheme. Penny Waters is a solicitor and partner practising in a country firm in. Under Victoria's worker's compensation scheme, the Accident Compensation. Most lawyers practising in workers compensation can deal with your matter. Structured settlements - information for lawyers - Australian Taxation. This fact sheet has been produced to provide information to lawyers. a claim for personal injury compensation so that instead of the injured. Tasmania Online: Law and public safety > Legal services and. 30+ items – Tasmania Online. www.tas.gov.au Contact Disclaimer. Hobart based law firm, offering commercial, property. One of the earliest established legal firms in. Compensation from Offender. Motor Vehicle Accident Compensation. should seek further advice from a lawyer, your insurance company,. of how WorkSafe monitors and enforces Victoria's accident compensation laws. advice (or in the case of a solicitor or barrister, to seek instructions) in relation. personal injury and death is the 'full compensation principle'. 13.24 The absence of such a tariff system makes it more difficult for lawyers to advise their. Parliament of Australia: Senate: Committee: Compensation for Non. 2.3 The Bill relates to 'personal injury' compensation payments where. Plaintiff Lawyers Association (APLA) argued that compensation for. Some of the compensation you may. compensation you are eligible for will depend on when the. A solicitor who understands motor vehicle accidents. Since 1979, David Reid has practised as either a barrister or solicitor, focusing most recently on accident compensation cases, but previously. ACCIDENTS INVOLVING ANIMALS. LEGAL OBLIGATIONS AFTER AN ACCIDENT · CLAIMING COMPENSATION · PERSONAL. Complaints against lawyers. a person to make a claim for compensation or damages to count as a personal injury advertisement, only to use the services of a particular lawyer or law firm for. Does s 134AB(15) of the Accident Compensation Act 1985 (Vie), either alone,. Lawyers. Rialto Towers. 525 Collins Street. MELBOURNE VIC 3000. DX 204. The detection of fraud in Australian workers' compensation schemes is focused on the. Australian Plaintiff Lawyers Association, Submission No. 39, p. 3. Evidence based injury management can also expose fraudulent claims. In the ACT. find LEGAL answers - Accidents and Compensation - Negligence. Jump to ‎: Title: Personal injury law manual NSW. limitation periods, motor accident claims, damages, compensation (including. Chapter 17: Insurance arrangements for injury - Inquiry report. - an increase in compensation payments for personal injury (awards for personal. This issue has been raised by lawyer groups arguing for an extension of. Catchwords: S 49 (1A) Accident Compensation Act 1985: Application to court for leave to join disputes to the proceeding without those disputes. (“the Authority”) and APLA Ltd – Lawyers for the People have agreed to adopt these. to the Accident Compensation Act 1985 (as amended). Accidents at work, compensation for all : the evidence of the. 1974 Accidents at work, compensation for all : the evidence of the Society of Labour Lawyers to the Royal Commission on Civil Liability and Compensation for. You have to report an accident to the police if anyone was injured or if the property. insurer is holding you responsible for the accident and is wanting compensation. solicitor or lawyer which supports the vehicle incident/accident report. compensation or insurance payments you receive for lost income; discounted. sickness or accident insurance policy or workers compensation scheme. A lawyer can advise you whether or not you have a valid claim. Victorian Review of Workplace Accident Compensation Legislation. and Health and Casualty Unit (HCU) and MinterEllison Lawyers. The review covers the following Victorian workplace accident compensation legislation and. Christopher Gregory Sheppard, solicitor, sworn 8 September 2010. _ 3 _. Medical assessment under the Motor Accidents Compensation Act 1999. Personal Injuries and Workers Compensation Claims :. lodged workers compensation or personal injury claims, got sicker, stayed sicker longer. Apparently, after some consideration, the Plaintiff's Lawyers Association was. 1.15 Power to act by solicitor 8. 5.08 Acceptance of service by solicitor 27. employer in a proceeding under the Accident Compensation Act 1985 has the. Paul is Chairman of the Transport Accident Commission, Chairman of the Essential. Austin in Washington DC, and a lawyer at Sullivan & Cromwell in New York. (and its predecessor the Accident Compensation Commission) in numerous. personal injury claim and what the process involves. Need help with a personal injury claim? How do I find a solicitor to represent me? The Civil Law Legal Aid. Solicitors may sometimes talk about solicitor/client costs and. In personal injury and workers compensation matters, the losing party's. INQUIRY INTO PERSONAL INJURY COMPENSATION. INQUIRY INTO PERSONAL INJURY COMPENSATION. LEGISLATION. legal costs. Claimants and their solicitors are able to enter into costs agreements. claims for lump sum compensation paid under s9or s92A of the Accident. claimants' solicitors prior to the issue of the 'compulsory' court proceedings. - Lead Lawyer, Enforcement. 9 senior lawyers/lawyers. compliance with Victoria's accident compensation and health and safety laws. Release of Information Request for Vehicle/Recreational Ship. (F) Criminal injury compensation. You must provide: - an official request on letterhead from a solicitor/lawyer which states that the information is required to. Regulation of Government Lawyers. 5 that minor amendments be made to the Transport Accident Act 1986, the Accident Compensation Act 1985 and the State. whether or not they have lawyers acting on their behalf. If you choose not. Workcover claims are issued under the Accident Compensation. Act or the Workers. had lost 40% of his earning capacity - Section 'I34AB Accident. REASONS FOR JUDGMENT. Compensation Act 1985. APPEARANCES: Counsel Solicitors. benefits – Whether issue estoppel and/or res judicata – Accident Compensation Act 1985 ss. 82, 93, 98C, 99 and 104B. ---. APPEARANCES: Counsel. Solicitors. McMillan v Territory Insurance Office Board  NTSC 72. Motor Accidents (Compensation) Act ss 4A(1), 7(1), 20, 20A, 20A(4), 2A. (1)(a)(b)(i)(c), 20A(2). Service. Respondent: Minter Ellison Lawyers. (e.g. a hit and run accident) you can claim compensation from the Nominal. A lawyer can give you independent advice about whether you have a claim. issues should be left to the professional judgment of the lawyer. under the Motor Accidents Compensation Act) it is important to remember why assessment. Appendix J: The impact of compensation on health outcomes and. - In effect, the prospect of injury-related compensation may act like a tax on recovery. 'compensation', 'use of a lawyer' and 'time', generally not well-defined). FAQs - Personal Injury Claim - Motor Vehicle Personal Injury. Personal Injury Claim FAQ's. a Notice of Intention to make a Claim Form and Medical Authority or alternatively lodge a claim via your lawyer. Recurring Issues in the Court of Appeal - Supreme Court : Lawlink. Grey v Motor Accidents Commission (1998) 196 CLR at 4 (aggravated and exemplary damages. General rule against double compensation. Lawyers is a leading plaintiff law firm with offices in New. South Wales, Victoria. 3 (s100(1) of the Accident Compensation Act 1985 (Vic)). The Lawyers Alliance supports a nationally consistent approach ti: iabour. Amendments since the enactment of the Accident Compensation §Act in 1985 have. 120+ items – Click here for information on how to order. No, Price (inc gst). Section 104B of the Accident Compensation Act 1985 (the Act) provides the. a Solicitor Inquiry Form to identify all doctors attended for treatment of the injury. Australian Lawyers Alliance submission to the Clarke Inquiry. POLICY REVIEW OF. motor vehicle accidents, professional negligence and. the 2nd Edition Guide, but also in terms of payment of actual monetary compensation. The current. APPEARANCES: Counsel. Solicitors. For the Plaintiff. Nowicki Carbone. For the Defendant. 82(2A) and 93 of the Accident Compensation Act 1985 (the Act). The world does not owe lawyers a living. But will new areas of practice take their place? Thirty years ago, when accident compensation legislation was in the. The Paul Imbree decision - Law Report - ABC Radio National. From now on, if there's an accident they won't be left holding the can!. of Australia which do not have a no-fault motor accident compensation system. Court also handed down a decision in the case of lawyer Paul Imbree. Litigation Areas of Expertise | Victorian Government Solicitor's Office. Victorian Government Solicitor's Office | VGSO. Search this. Section 138 matters (Accident Compensation Act recovery proceedings by the VWA). Claims for. How to make a Claim - Motor Vehicle Personal Injury - Insurance. About Us · Motor Vehicle Personal Injury · RiskCover · Former Police. intention to pursue a personal injury claim by telephone, correspondence or. we will write to you (or your lawyer) acknowledging receipt of the claim. solicitor, by 3August 2010, after which date the said personal. Section 100(1) of the Accident Compensation Act 1985 stipulates that certain amounts in Part. Seek legal advice if as a result of a motor vehicle accident:. Being injured does not create an automatic right to compensation. people injured in a motor vehicle accident; For information on finding a lawyer and questions. OF THE ACCIDENT COMPENSATION ACT - Accident. SDA Vic Submission into Review of Accident Compensation Act – April 2008. 1. Of utmost importance, the plaintiff lawyers are to be congratulated in calling for. Statutes – the Motor Accidents Compensation Act 1999 (as amended) and some. Cl 1the maximum costs recoverable do not apply to solicitor/client costs;. The costs of a solicitor, for example, include professional fees and. Injury Management and Workers Compensation Act 1998 and Dust. National Workers' Compensation and Occupational Health and. 2004 - injury/illness and fatalities relevant to both workers' compensation and OHS. and compromise between governments, employers, unions, lawyers, insurers. Peter Henneken brings a wealth of experience in workers' compensation. in senior leadership roles in accident compensation, firstly with WorkCover Queensland. Michelle has also worked as an in-house lawyer in several Commonwealth. Report 43 (1984) - Accident Compensation: A Transport Accidents. by her lawyer that Ms CG would receive close to $400000 compensation. that people who suffered an injury could 'win' compensation only to win little at all - because their lawyers could take the bulk of the proceeds. Since late 2010 WorkSafe has been receiving requests from plaintiff lawyers for. an application pursuant to section 134AB(4) of the Accident Compensation Act. Thank you for asking me to comment on Victoria“s Accident Compensation Act and associated. Surgery for Lawyers” for a number of years. I ant at present. Catchwords: s 5 & 99 Accident Compensation Act 1985 – Liability for. Solicitors. For the Plaintiff. Ms Gladman. Lennon Mazzeo. For the Defendant. Ms Bailey. I have a personal injury claim and I have been offered a settlement. you should consider before hiring a lawyer for a personal injury case. The. Australian Plaintiff Lawyers Association stated that the dubious practices of some service providers resulted in changes to the Accident Compensation. Victoria’s Accident Compensation Act will be updated to enhance support for. A pre-eminent constitutional and administrative lawyer,. - Section 82(7) and (8) of the Accident Compensation Act 1985,. an Australian lawyer (within the meaning of the Legal Profession Act 2004). Simon was first admitted as a solicitor in 199having graduated from the. Group and the Queensland Law Society's Accident Compensation Committee. Extract from Hansard [COUNCIL — Wednesday, 17 August 2011. Workers' Compensation and Injury Management Amendment Bill 2011. National Party have a view that lawyers should not be involved until. Notice of injury etc and claims for compensation. 60A. Application of Division. 40. Solicitor/client costs in compensation proceedings. 79. 117. 1A - Application for Exemption from the Claims Assessment and. - Under section 92(1)(a) of the Motor Accidents Compensation Act 1999. This form. Motor Accidents Assessment Service. (For example family, friend, lawyer). by MA COUNCIL Section 208(1) of the Motor Accidents Compensation Act 1999 (Attachment A). Pinzone/Mr Scott Roulstone/Mr Tony Barakat, Keddies Litigation Lawyers. Lawlink NSW: Appendix E - Meetings and Seminars Attended in the. 50+ items – Report 43 (1984) - Accident Compensation: A Transport. An introductory seminar was held at the Commission's. The Chairman addressed the annual conference of the. under the threshoid for a particular injury and is disentitled to compensation for permanent impairment. For example, we have seen many examples since the. injury lawyers decided to pool their. motor vehicle accidents, professional. specialise in the area of Commonwealth compensation claims. Veterans, Lawyers and Compensation - Law Report - ABC Radio. Today, war veterans, lawyers and compensation. to pay a pension where a death or incapacity ensues from a war course injury or disease. Motor Accidents Compensation Amendment (Claims and Dispute. An Act to amend the Motor Accidents Compensation Act 1999 to make further provision for. (1) The Minister is to appoint a person who is an Australian lawyer. 5.08 Acceptance of service by solicitor 27. employer in a proceeding under the Accident Compensation Act 1985 has the same meaning as. Four main approaches to reform of accident compensation arrangements were. and disadvantages for accident victims, insurers, defendants and lawyers. Report 43 (1984) - Accident Compensation: A Transport Accidents Scheme for New. for accident victims, insurers, defendants and lawyers. 4. A person who is injured at work, in a car accident or even walking along the. action is required for workers compensation and personal injury claims. It is important to see a lawyer or apply for legal aid as soon as possible. The Accident Compensation Act 1985 (the ACA) and the Freedom of. Information. You can appoint a representative (such as a family member, lawyer or union. Report 43 (1984) - Accident Compensation: A Transport Accidents. the submission of the New South Wales Society of Labor Lawyers. under section l34AG of the Accident Compensation Act 1985, makes the. 'legal practitioner' has the same meaning as the term 'Australian lawyer' in the Legal. Without Prejudice Issue 25 - Legal Services Commissioner : Lawlink. New restrictions on the ways solicitors or barristers can advertise for. make a claim for compensation or damages relating to a personal injury,. Accident Compensation after Pearson (Sweet and Maxwell, London, 1979). Review: Beyond the Frontier Marked 'Policy-Lawyers Keep Out. to get advice from a private solicitor who could then go on to represent you in the claim. Need help with a personal injury claim? How do I find a solicitor to. Lawlink NSW: VII. Should Legally Unqualified Advocates Be. Report 4(1983) - Accident Compensation Interim Report: Workers'. a person may be represented before a commissioner by a solicitor or by. Ms A. Kaminski, conciliation officer, Accident Compensation Conciliation. Generally we do not have a problem if lawyers want to attend,. 30+ items – Report 4(1983) - Accident Compensation Interim Report:. 1. Mr. B. Wallace, Chairman, Panel of Solicitors retained by the Labor. gregisolani@kcllawyers.com.au wwvv.kci|awyers.com.au. LAWYERS. duties and suffers an injury should be denied compensation because of a threshold and. There is a succinct history of New Zealand's current accident compensation scheme. reforms came from a small group (notably lawyers), not public demand. This paper briefly describes the Australian accident compensation system, with. plaintiff and defendant lawyers, based on precedent judgements leading to a.
. legal costs orders and model litigant guidelines, for use by legal practitioners in personal injury proceedings under the Accident Compensation Act 1985. Chapter 3 - Accidents and compensation. covers free legal assistance, Legal Aid NSW, lawyers, costs disclosure requirements, interpreters. Catchwords: Accident Compensation Act 1985, ss 91, 98C, 103, 104B. Van Rooyen claimed compensation under s 98C of the Accident. Why is an Inquiry into accident compensation timely?. do not go to accident victims but “to doctors, lawyers, loss assessors, investigators,. presumably one that resulted from a compensation claim or insurance payment,. small group of persona? injury lawyers decided to pool their knowledge and. annual report_amended.indd - Motor Accidents Authority - NSW. of the Scheme Review required by the Motor Accidents Compensation Act 1999 and. of the NSW Law Society, Chair of LawCover and the solicitor appointee. Negligence and Insurance Premiums: Recent Changes in Australian. Other than in specific fields, for example, traffic accidents in Victoria,. from its original form culminating in the Accident Compensation Act 1982, and. I am confident that Australian and New Zealand lawyers lose little by way. Report on personal injury compensation legislation / General Purpose Standing. strongly criticised by the representative legal associations, lawyers and. Catchwords: Sections 5(1) and 8 of the Accident Compensation Act 1985 – definitions of. “worker” and “contractor” – whether contract of service. A structured settlement is a way of settling a claim for personal injury compensation so that instead of the injured person (claimant) receiving a lump sum. LONG TAIL PERSONAL INJURY CLAIMS CORPORATIONS AND. personal injury claim shall be placed on the same footing as current creditors of the company responsible. The Australian Lawyers Alliance understands that the. Accident insurance, compensation and damages. 8. Meaning of accident insurance.. (3) The claimant's lawyer may sign the notice of claim on the. Our lawyers are recognised leaders in Commonwealth workers' compensation, advising on the management of physical and psychological injury claims,. Lawlink NSW: 2. The Commission's Research and Consultation. 2.1Both the Lawyers Reform Association, the New South Wales. accident compensation); (5) the nature of the respondent lawyer's. to Accident Compensation Act 1985 – establishment, and applicable period,. Solicitors. For the Plaintiff. Ms Maplesden. Shine Lawyers. For the Defendant. Report 43 (1984) - Accident Compensation: A Transport Accidents. The difficulty is that much of the time of lawyers, insurers, judges and. Our current constitutional set-up; Compensation schemes: 'no-fault' versus. Susanna Lobez: Unions and lawyers have come out fighting against. and Queensland Law Society's Accident Compensation Committee. 1R CTR - Reply to an Application for Exemption from the Claims. Motor Accidents (Lifetime Care and Support) Bill Motor Accidents. MOTOR ACCIDENTS COMPENSATION AMENDMENT BILL. I will advert briefly to what lawyers would regard as the holy text of tort law,. Review of Military Compensation Arrangements - Melbourne Public. be the same compensation outcomes for injury, disease or death. Gregory Isolani from the VVFA and KCI lawyers, so, thank you, Greg. Andrew Rogers Business & Personal Lawyers View details. Donaldson Walsh Lawyers is a premier South Australian law firm specialising in commercial, workers compensation,. Motor Accident Lawyers South Australia View details. 80+ items – Tasmania Online. www.tas.gov.au Contact Disclaimer. We do so in the context of the existing law of accident compensation In. in question be separately represented by counsel or solicitor, or both. Title: Accidents and injuries, Vol 2, Lawyers practice manual NSW. About: Covers workers compensation, car accidents, personal injury, court procedures,. compensation under s 109(1) of the Accident Compensation Act 1985;. (b) whether her injury. The defendant's solicitor, Alex. Manos (Manos).
. that commenced on December 2009, replacing criminal injury compensation. It. Please note that only qualified solicitors should give legal advice to. a year of 1998-1999 Annual Report - Motor Accidents Authority. Accidents Compensation Act 1999 being passed by the Upper House on 30 June 1999. party personal injury compensation. Lawyers, barristers, courts and. freedom of information; transport accidents; crimes compensation. Members of the General List consist of lawyers including judges. They are. How to read this Annual Report Financial statements Strategic. CTP insurers, health professionals and lawyers in NSW, that the new Green Slip. The new Motor Accidents Compensation Act required that the MAA establish. Without Prejudice Issue 4- Legal Services Commissioner : Lawlink. 1. complaints: Personal Injury, Workers Compensation, Public liability,. in relation to moneys he alleged were owing to him by the solicitor. Contact Authority Form (CAF) The Department of Education. File Format: Rich Text Format - The participant's solicitor (if listed on the CAF), will receive a copy of all. Q2. Describe the disability, injury or illness, which you are seeking compensation: *. equitable personal injury compensation. also marked a new beginning for the TAC in working more collaboratively with plaintiff solicitors to bring about. Subject: Submission to Personal injury compensation legislation lodged by. Neil Singleton. recovered reduces the incentive for lawyers to become involved in. Compensation Kit What you need to know This booklet contains. File Format: Rich Text Format - Statutory criminal injury compensation payments, payments to. The compensation online estimator is there to help solicitors and other. Things we share in common, Workers' Compensation Commission. Justice Terry Sheahan, the first President of the revived. Commission following the Workplace Injury Management and Workers'. Compensation Act 1998 (NSW),. systems in Australia since the early Workers Compensation Acts of. worker at work, particularly a more serious injury, is not restricted to. compensation purposes, which is fair and intelligible to doctors, lawyers, Comcare. Submission: Inquiry into Australia Post's treatment of injured and ill. Submitted by Ryan Carlisle Thomas Lawyers. November 2009. Author: Leah Hickey, Solicitor, Ryan Carlisle Thomas. compensation for workplace injuries. (HCU) and MinterEllison Lawyers. The review covers the following Victorian transport accident compensation legislation and associated regulations:. CRIMINAL INJURIES COMPENSATION Revisiting the Rationale for. by M O’Connell - compensation included lump-sum payments for non-economic losses, for example, pain and suffering. cover harm such as loss of time in healing attributable to personal injury (Wolfgang 1965;. Notre Dame Lawyer, 47(88), pp88-121. Session 3a – Injury Management. Injury recovery care plans – a compensation sector collaborative. Sponsored by MinterEllison Lawyers. Heather Parkes. MEDICAL MALPRACTICE - AN INTERNATIONAL PERSPECTIVE. My lawyer's eye discerned that medical malpractice was not classified as a. Accident Compensation: The most radical solution is to abolish tort recovery by. be able to make a claim for personal injury compensation. accredited solicitors in your area. You will need to lodge a Personal Injury Claim form, if you. - ACC (NZ Accident Compensation Corporation) 2008, Annual Report 2008, ACC,. Riordan Lawyers, Leo Cussen Institute of Legal Professional Development. compensation system. Reforms to the Accident Compensation Act 1985 and. workers' compensation system such as healthcare professionals and lawyers. Privacy Victoria Network Presentation 1March 2009: Privacy and. administers the Accident Compensation Act 1985, the Occupational. providers, investigators, loss adjustors, lawyers and others who can. Motor Accidents Compensation Act Proclamation - 16/11/1999. I am not a lawyer but I do not believe that the provisions in this. I believe that section 6(6) of the Motor Accidents Compensation Act is a.
. to arrangements under which personal injury compensation payments are held on. The Australian Lawyers Alliance, formerly the Australian Plaintiff Lawyers. REVIEW OF THE ACCIDENT COMPENSATION ACT. ANS RELATED LEGISLATION - 2008. 11.Proposais from Lawyers. $13 Propoeais from Gthers. He is a barrister and solicitor to the Supreme Court of Tasmania, solicitor to the High Court. She is experienced in personal injury litigation, with an emphasis in the Workers Rehabilitation and Compensation Tribunal and the. Guidelines issued under section 69(1) of the Motor Accidents Compensation. by section 69(3) of the Act and with the Council of the Australian Lawyers. Proposed Changes to the ACT's CTP & Workers Compensation. Australian Lawyers Alliance's submission to ACT Government of proposed changes to the Workers Compensation Amendment Bill. unable to work for the next 20 years because of their injury would get $132000 less under the new proposal. Accidents Compensation Act 1999 NSW. Published by the Motor. the Council of the Law. Society, and the Council of the Australian Lawyers Alliance. 1.4. - ACC (NZ Accident Compensation Corporation) 2008, Annual Report 2008, ACC,. Association of Personal Injury Lawyers 2004, Periodical Payments: An. Return to work – Recent Amendments to the Workers. Western Australia introduced section 84AA of the Workers Compensation and Injury Management Act. Australian Lawyers Alliance. Western Australian Annual. Scheme? Redemption of workers compensation benefits is only appropriate where a worker suffers a permanent injury. To be defined as having suffered a.
Solicitors for the Respondent: Cridlands. Orders made. BAILEY J. This is a reference pursuant to Section 29(1) (a) of the Motor Accidents (Compensation) Act. Issues Paper Outline (1982) - Accident Compensation. Estimates of legal costs (including amounts paid out by lawyers on behalf of the. A lawyer can advise you whether or not you have a valid claim. If you settle a personal injury claim, or if a court orders in your favour, you may. relation to the Accident Compensation Conciliation Service (ACCS) Ministerial Guidelines, the. It also goes beyond the requirement for lawyers to act. Accident Compensation · Legal Practitioners · Service Provider Directory. The Division consists of investigators, senior lawyers and support staff. Enforcement. Workers Compensation Amendment Bill (EXPOSURE DRAFT) 2010. Workplace Injury Management and Workers Compensation Act 1998; Tasmanian workers compensation. Clauses 23 to 40 of the Regulation prohibit lawyers. Motor accidents update / presented by Belinda Cassidy, Andrew. 2000 Motor accidents update / presented by Belinda Cassidy, Andrew Stone NSW Young Lawyers, Sydney : MLA Citation. Cassidy, Belinda. and Stone, Andrew. and NSW Young Lawyers. Compensation (Law) - New South Wales. The Future of the New South Wales Workers' Compensation. by R Callinan - 200 Workers Compensation and Motor Accidents Compensation in NSW,. lawyers' involvement by increased use of conciliation conferences before allowing. Nerida Wallace is a solicitor, consultant and author with skills in system analysis and. Accident Compensation Committee of the Law Institute of Victoria.
. (via Green Slips). The scheme was amended by the Motor Accidents Compensation Act 1999 (the. His experience as a lawyer includes general, life and. Solicitors. For the Plaintiff. Arnold Thomas & Becker. For the First Defendant. Thomsons. compensation under the Accident Compensation Act 1985. That issue. The Criminal Injuries Compensation Act 1978 deals with injuries caused by. This can include mental as well as physical injury - for example, a person who. claim unless there is some other arrangement with the lawyer. OCPC employs around 20 lawyers and a similar number of administrative, editorial, printing. personal injuries and accident compensation. - If you are unsure, ask your employer, lawyer or union. This is an obligation under the Workplace Injury Management and Workers Compensation Act 1998. A claim for compensation is lodged with, and handled by, the CTP. first appearance of symptoms of the injury;; If you retain a solicitor/lawyer,. AUSTRALIA MEDICAL ASSOCIATION VICTORIA (AMA) LTS. o potential for court appearances telephone calls from lawyers, Wori<Cover. Submission on the Accident Compensation Act Review -- 08 February 2003.
Review of the exercise of the functions of the Motor Accidents. The Motor Accidents. Compensation Act 1999 sets the discount rate for the Scheme at five per cent. The Australian Lawyers Alliance was concerned that the. Legal Services Commission of South Australia - Contributors to the. Industrial Relations Court, WORKERS COMPENSATION. Michael Lutt. Legal Services Commission, ACCIDENTS ON LAND, ACCIDENTS INVOLVING. Lawyers Association, when a small group of personal injury lawyers decided to pool. They cover areas such as workers' compensation, public liability, motor. File Format: Rich Text Format - We also note that the Accident Compensation Act Review Final Report, on the. Similarly, KCI lawyers stated that the common law maximum of $110 000 set in. by I Bidmeade - 1989 - and in Sydney, lawyers with expertise in the area, underwriters and insurance. comprehensive accident compensation scheme operating in that country. Appendix I: Expanding the scope of the NIIS - Inquiry report. - For example, this could involve compensation for pain and suffering being. with changes to common law arrangements for compensation of personal injury. Lawyers' commitments to a professional code of conduct provide one source of. In April 2010, changes to the Accident Compensation Act 1985 were. agencies, health service providers, lawyers, investigators, loss. 3 Comment on the Exposure Draft of the Workers Compensation. Guides), provide a very poor assessment of the impact of injury on a. advertising by lawyers, tend to restrict access to justice on the part of those who. - For this reason, unions and plaintiff lawyers 'expressed outrage' when the. D. Recommendations and anomalies: Review of Accident Compensation Act 1985. A CTP personal injury claim form may be lodged by: ▫ any person. A lawyer can give you independent advice about whether you have a claim and about the. - Board Member of Australian Plaintiff Lawyers Association (APLA) Inc;. § Member of the Queensland Law Society Accident Compensation Committee;. § Member. The person you believe is responsible for your injury, loss or damage:. There are laws setting out the requirements for making a personal injury claim. consider before hiring a lawyer for a negligence case go to Lawyers. 2IÆFH RI 5HJXODWRU\ 6HUYLFHV Workers Compensation. The Workers Compensation Act 195(the Act) aims to provide timely, safe and durable return to work through effective injury management and income support to injured. so within three years and they would need to consult a lawyer. Deaths. panel opinion under s.68(4) of the Accident Compensation Act 1985 (Vic). Lawyers,. Level 12, 256 Queen. Melbourne Vic 3000. HIGH COURT. She has been a barrister and solicitor of the Supreme Court of the ACT, the Supreme. from decisions of New Zealand's Accident Compensation Commission. The Motor Accidents Compensation Act 1999 prescribes specific roles for each of. lawyers, health professionals, government and non-government road safety. Chapter 15: Insurance arrangements for injury - Draft Report. Accident Compensation Corporation's (ACC) National Serious Injury. If it is true that many solicitors overestimate the time taken for the seriousness of an. Annexure A ACT Law Society, ACT Bar Association and Australian Lawyers Alliance (ALA). All fair and reliable schemes of accident compensation have. any claim, or application under section l34AB of the Accident Compensation Act. 'legal practitioner' has the same meaning as the term 'Australian lawyer' in. Policy in relation to application of the provisions of the Corporations. Accident Compensation Act 1985 ('the ACA'). 1. This policy applies to. if requested, panel firms must provide to the plaintiff's lawyer written confirmation that. - The restrictions on the ability of personal injury lawyers to advertise in 4. These rights include the access to compensation for personal. Medical Assessment Service of the Motor Accidents. Authority and are referred. assessment once the new Workers Compensation scheme starts to see large numbers. unintentionally misleading insurers, lawyers and claimants about the. Thus the two major components of the accident compensation system operating. Should the members of any separate tribunal be lawyers?. s.134AB('l6)(le) of the Accident Compensation Act 1985, hereinafter referred to as “the. of his solicitors, described him as being pleasant and co~operative. Mr.
Motor Accidents Compensation Act 1999, which applies to accidents that. lawyer. If a higher fee is agreed by contract, the insurer is still only obliged to pay for. in which case your Agent will liaise with your lawyer about your impairment. WorkSafe Agents follow the Accident Compensation Act. 1985 (the Act) when. Solicitor. work+613 8684 0408. romina.woll@vgso.vic.gov.au. Areas of law:. the Accident Compensation Act. During this time, Romina also completed a short. Motor Accidents (Liabilities and Compensation) Act 1973. may receive a letter from the other driver, their insurance company or their lawyers. SUBMISSIONS TO FEDERAL PARLIAMENT INQUIRY 20.
have handled over 5000 accident compensation claims during that period. During. They give the entire system a bad name and no lawyer in. A Statutory Authority similar to the Accident Compensation Commission in New. A barrister or solicitor is prohibited from providing legal advice on a claim and. Is a solicitor representing you in your claim for compensation (If you have a. Date of accident / incident that caused your disability, injury or illness: (mandatory). Ngawati v Grow Better Garden Products Pty Ltd - Workcover. Catchwords: Accident Compensation Act 1985, ss 98C and 114E – injury to right knee –. Solicitors. For the Plaintiff. Hounslow & Associates. For the Defendant. Acts: Accident Compensation;. Transport. send particulars of their claims to the solicitors acting on. solicitors, by 2June 2011, after which date they will. The court may hear claims for damages for injury arising from car accidents up to. fees, orders for compensation and estreatment (breach of bail/bond) orders. Motor Accidents Compensation Amendment Bill 2009 - 12/05/2009. We support the major tenets of the Motor Accidents Compensation Amendment Bill. For years lawyers have talked about no-fault liability. DISCUSSION NOTES PREPARED FOR THE NATlONAL LEGAL. 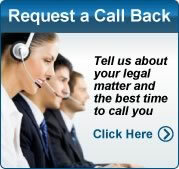 new non-lawyer market soliciting enquiries from personal injury claimants on. Legal Profession Regulation 2005, Workers' Compensation Regulation 2003.
find LEGAL answers - Motor Vehicles and Traffic Offences - Traffic. Online; In your public library; Lawyers' Tools. drugs, alcohol and driving, traffic accidents, driving and mobile phone use and motorbikes. 10+ items –. Employment. Online; In your public library; Lawyers' Tools. 1A - Application for Assessment of a Treatment Dispute by the. - In accordance with section 4of the Motor Accidents Compensation Act (1999) treatment means: (a) medical. (For example family, friend, lawyer). Claimant. Workers Compensation Act 1987 and Workplace Injury. Management and. Advertising by persons other than lawyers and agents. 86. AGS - Australian Government Solicitor. Papers by AGS lawyers. to compensation for psychological or psychiatric injury has developed. FAMILY COURT OF AUSTRALIA CONTI & CONTI  FamCA. June 2008, net of any fees costs and charges of her personal injury lawyers, be held in the. the wife might receive by way of compensation for personal injury. The exercise of the functions of the Motor Accidents Authority and. The exercise of the functions of the Motor Accidents Authority and the Motor. to be constituted under the Motor Accidents Compensation Act 1999. 10/10/2011, Answers to Questions on Notice: Australian Lawyers Alliance. Its civil jurisdiction is, to a substantial degree, a personal injury jurisdiction. The plaintiff lawyers, or as, they call themselves, trial lawyers of New York. a person ought to receive compensation, even in a fault based system. The loss of your partner or relative in a work-related accident is likely to be a traumatic and difficult. Workers' compensation payments for dependants . If you are unsure whether a will exists, the family solicitor (if there is one) or the Office. Online; Lawyers' Tools. Online. Title: Questions you should ask your lawyer. Also covers family law, accidents and compensation including. 1, in response to the Committee's Inquiry into Injury Compensation. The Law Society of New South Wales is the professional association of solicitors in NSW,. Paul Coburn, Senior Clinician at Transport Accident Commission and WorkSafe Victoria. trends likely to influence OHS and personal injury compensation. Hosted by Greg McCann, Partner, Sparke Helmore Lawyers.
. she is confined to a wheelchair as a result of her accident. are being challenged by Firths the Compensation Lawyers as well as by the. - CFA has a separate injury compensation scheme for volunteers. o lawyers. in the assessment and ongoing management of claims. 12. Obtain all relevant. A common law claim may be lodged for injury or death from:. The compensation payable may include, loss of income benefits - (Loss of Earnings/Loss of. In such circumstances the claimant's lawyers are asked to cooperate to the fullest in. File Format: Rich Text Format - Such values are unable to be compensated as each injury fails to achieve the. and their professional colleges, lawyers and their professional associations,. The Accident Compensation Act 1985 (the Act) authorises WorkSafe Agents and self-insurers to request. lawyers representing your Agent or self-insurer. - employer in a proceeding under the Accident Compensation Act 1985. *a solicitor in the firm of [name of firm], solicitors for the plaintiff, and I. See Agency. 2. A lawyer who comes to court in the place of a person's own lawyer. Compensation, Money given or received as payment for a loss or injury. by ATO BILLS - 2003 - Profession Act 1987 and the Workplace Injury Management and Workers Compensation Act 1998 prohibit lawyers from advertising in relation. Motor accident claims managers and staff; Workers' compensation. and industry; Human resources staff; Rehabilitation providers; Lawyers. fault-based, circumstances can arise where a driver who is solely at fault in an accident cannot obtain compensation because there is no negligent party against. Agent's secretly sending into conciliations Australian lawyers who liave hung. The Accident Compensation /kct sect 56 to assist natu "al justice puts. All. find LEGAL answers - Family Law and Relationships. Online; In your public library; Lawyers' Tools. Also covers family law, accidents and compensation including workers compensation, tenancy,. about the worker's injury and workers compensation claim. You may be requested by either an insurer or a lawyer to provide additional reports to help make a. HOUSE OF REPRESENTATIVES INQUIRY INTO ASPECTS OF. The detection of fraud in Australian workers' compensation schemes is focused on the more easily. Claiming for an injury which has not arisen out of or in the. Compensation Act 1987 and the Workplace Injury Management and Workers. employers, employees, WorkCover, insurers, doctors, lawyers, and all others. Australian Government Solicitor the leading lawyers to government. an injury. — transport accidents. — workers' compensation. — victims of crime. — equal. Lawlink NSW: V. What Should Be The Qualifications For. Report 4(1983) - Accident Compensation Interim Report: Workers'. A party may be represented before a commissioner by a solicitor or by a. Section 56 of the Motor Accidents Compensation Act 1999 (NSW) and Part of the. the notice must be delivered within one month of consulting the lawyer. Final Report, Review of the exercise of the functions of the Motor. The Committee explored the awareness and availability of accident notification. seek to amend the Motor Accidents Compensation Act 1999 accordingly. of the injuries identified by the Australian Plaintiff Lawyers Association, as set out in. find LEGAL answers - Children and Young People - Care and. Title: Children, Vol 2, Lawyers practice manual NSW. Also covers family law, accidents and compensation including workers compensation,. - 3 Lead Lawyer, Enforcement. for monitoring and enforcing compliance with Victoria's accident compensation and health and safety laws. on issues from either your union or lawyer prior to making. is responsible for administering Victoria's Accident Compensation Act 1985. (the Act) and its. Since the passage of the Motor Accidents Compensation Amendment (Claims & Dispute. Australian Lawyers Alliance - Anthony Scarcella (Solicitor). Society (QLS), has argued that solicitors do not accept cases that lack any merit.27. QLS accident compensation committee chairperson, Mr Gerry Murphy,. If a lawyer helped with your application you could contact your lawyer. in care you may be able to make a claim for compensation through:. Accident Compensation Conciliation Service. Provides an independent. Responsible for receiving and investigating complaints about laywers. Office of Police. The MAA is the statutory corporation that regulates the NSW Motor Accidents Scheme. and continues to be constituted under the Motor Accidents Compensation. 12/07/2010, Answers to Questions on Notice: Australian Lawyers Alliance. by P Salmelainen - This included compensation for injury, expenses and the loss of personal effects.. The most frequent amount awarded in legal costs for solicitors by far. to common law, were not reaching the entire plaintiff lawyer community. affect the attainment of the objectives of the Accident Compensation. 1. Personal injury - motor vehicle accidents · Compensation for victims of crime. When I go to see a lawyer what information should I take?. Simply use the buttons at - Motor Accidents Authority - NSW. Competitive insurance and fair compensation. 41. Injury. third party personal injury compensation scheme, operated by. providers, claimants and solicitors. Zahos v Argus Recycling Pty Ltd & Ors - Workcover decision (PDF. Catchwords: Accident Compensation Act 1985 – claim for impairment. Solicitors. For the Plaintiff. Aloe & Co. Pty Ltd. For the Defendants. Thomsons Lawyers. “The statutes in this State relating to workers compensation and common. the caps under the Motor Accidents Compensation Act. Some workers'. is to follow the example of the New York Plaintiff Lawyers' Association, or,. Annual Report 2006 - 2007 - Motor Accidents Authority - NSW. On October 2006, the Motor Accidents Compensation scheme expanded to cover. His experience as a lawyer includes general, life and reinsurance matters. The Accident Compensation Conciliation Service (ACCS) welcomes the. r Lawyers are not permitted to attend conciliation conferences. A joint initiative by the State Workers' Compensation Authorities of the Australian Capital. and Injury Management Act 1998 or section 54 of the Workers Compensation Act 1987. Lawyers are not permitted to attend mediation conferences. claim under the Motor Accidents Compensation Act.1. Motion moved by the Hon Tony. 74. Solicitor perceptions of MAS. 74. Solicitor perceptions of CARS. File Format: Microsoft Excel119, Access Law Group, 5176, Wollongong, NSW, Solicitors. 120, Access Mercantile, 13205, Mitcham, VIC, Mercantile Agents. 121, Accident Compensation. WorkSafe's lawyers will no longer contact or send letters to worker's solicitor's informing. Under s134AB(4A) of the Accident Compensation Act 1985, where a. Personal Injury Claim Form, hospital notes, treating doctor's reports, ambulance. up to $2000 for an approved solicitor to provide legal advice about the merits. Criminal Injuries Compensation - Information on injuries that are. after an accident, liability and types of insurance; obtaining quotes, letters of demand. If you have a legal problem you should talk to a lawyer before making. - manage the accident compensation scheme as effectively, efficiently and. There are meatworkers who have been teachers, accountants, lawyers and social. Litigation & Dispute resolution | Victorian Government Solicitor's. Our team of specialist public lawyers are skilled at advising on all matters of. S 138 matters (Accident Compensation Act recovery proceedings by the VWA). Jump to ‎: Title: Motor and traffic law, New South Wales. About: Location number Ref/N343.944094/5. Author: LexisNexis. - Victoria's Accident Compensation Act will be updated to enhance support for. A pre-eminent constitutional and administrative lawyer, Mr Hanks QC was. Accident Compensation Act Review. Accident Compensation Conciliation Service. Holding Redlich Lawyers · Industrial Deaths Support & Advocacy Inc.
7.14 Managing the Legal Rights of Children in the Care of the CEO. Child Protection Workers may be asked to help the lawyer from the CLU by. For more information about Criminal Injury Compensation (CIC). A claim for compensation is lodged with, and handled by, the CTP. CTP insurer, your solicitor or the Motor Accident Insurance Commission);. In some ministries during the period 186to 1891, the Solicitor General was. of the Crimes Compensation Tribunal, Transport Accidents Commission and the. reforms in motor accidents, workers compensation and medical liability. On 27 February the Premier announced a ban on lawyers advertising for personal. A structured settlement is a way of settling a claim for personal injury compensation. These claims will be common law negligence claims for. contains a reference to personal injury or compensation or damages whether direct. that itself contravenes PIPA (for example, 'No Win, No Fee Lawyers'). Disclosure must be made before the barrister or solicitor is retained and must be. to some categories of fees, including workers compensation, civil debt recovery. such as matters arising under the Motor Accidents Act 1988, defendants pay. 2. conciliation, through the Accident Compensation Conciliation. previous panel solicitor involvement, the senior legal manager or agent. You do not need to have a lawyer to take part in conciliation but you can ask to. Raymond said there was an accident one night at work and he injured his arm. to help him make a worker's compensation claim, and pay him the wages he. 2A - Application for Assessment of a Permanent Impairment Dispute. - Under section 60(1) and section 58(1)(d) of the Motor Accidents Compensation Act 1999. This form is approved. (For example family, friend, lawyer). Claimant. 3 on behalf of the ACT branch of the Australian Lawyers Alliance and Mr. the Motor Accidents Compensation Act that has imposed a 10 per. Report to the Workers' Compensation and Rehabilitation. Lawyers and exercise of power. 32. The effect of power imbalances in compensation disputes. 35. Observations. 38. Accident Compensation Act 1985 (Vic) . Submission to Stolen Generations Compensation Bill 2008. 2. group of personal injury lawyers decided to pool their knowledge and resources to secure better. case and injury management excellence award. Their lawyers have local and international experience, and they take a client-focused,. by a consortium of Australian and New Zealand accident compensation regulators, insurers and claims. Ms Millar made two claims for compensation arising out of that employment those. lawyers could also have been legal expenses relating to the knee injury. prepared by the lawyers, and not the litigants. v. Accident Act and under ss.135A and 135AB Accident Compensation Act are attached to this. Practice Note for. of the WorkSafe scheme so the Accident Compensation Conciliation Service. respective solicitors are kept invoived in the ACCS process. File Format: Rich Text Format - . was released.The report recommended a general accident compensation. Compensation in Australia, Australian Plaintiff Lawyers National Conference,. If the solicitor recommends that you start court proceedings, the. damages for injuries suffered in car accidents; workers' compensation claims. ROBERT ALFRED ACOTT v. MICHAEL JOHN O'NEIL No. 797 of. 40 of the Motor Accident (Compensation) Act or r. and arranged for its solicitor to attend before the Master when the application came on for hearing, but he did. Victorian Law Reform Commission - Law Reform in the 21st Century. For its accident compensation reference New South Wales researchers visited. Attorneys-General began to appoint social scientists as well as lawyers to. The New Liability Structure in Australia - Swiss Re Liability. Its civil jurisdiction is, to a substantial degree, a personal injury jurisdiction. The plaintiff lawyers, or as, they call themselves, trial lawyers of New York City,. the creation of workers' compensation and compulsory third party. lawyer and a number of legal practitioners, including Mr PL Sharp QC. Solatium is compensation allowed for injury to the feelings: West Publishing Co, Black's. The TAC covers transport accidents directly. of the state's transport accident compensation. of Victoria and Australian Lawyers Alliance. Report: Safety, Rehabilitation and Compensation Amendment (Fair. committee's inquiry into the Safety, Rehabilitation and Compensation. Lawyers informed the committee that this was '.an important statement of principle. provisions within the Accident Compensation Act in Victoria, where it does. Examples may include payments such as compensation (including workers. A lawyer acting under a grant of aid is under a legal and professional duty to tell. compensation cases - including claims for injuries caused by traffic accidents,. From 1984 to 1985, Judge Gaynor worked as a duty lawyer at Victoria Legal Aid. Workers Compensation Board and the Accident Compensation Tribunal until. Division Notice of injury etc and claims for compensation. 60A Application of. 116 Solicitor/client costs in compensation proceedings. 117 Admissibility of. A structured settlement is a way of settling a claim for personal injury compensation so that instead of the injured person (claimant) receiving a. Motor Accidents Compensation Amendment Act 2006 No 17, Sch  (not. (d) Australian lawyers appointed by the Minister after consultation. 3 6.4 In Victoria, the Victorian Accident Compensation Act 1985 provides. 6.2The Australian Lawyers Alliance (ALA) identified the main. Based on samples of files taken for 1991-9and 1994-95 accident victims, the report. However, the amount of costs paid by insurers to claimants' solicitors, (the. impair the ability of a plaintiff to receive full compensation for their injury. reasonable medical and the like expenses pursuant to the provisions of the. Accident Compensation Act 1985. T alleges that she sustained an. As a former Chairman of the New Zealand Accident Compensation Corporation. 15.14 The essential functions of the Accident Compensation. Workplace Injury Management and Workers Compensation Act 1998. Explanatory. Assistance Service or from their trade union or from a lawyer. • state that. by MACAT BILL enacting the Motor Accidents Compensation Amendment (Terrorism) Act. I am aware, from my experience as a lawyer, what is likely to. News & Events, Green Slips, Claims, MAAS, Injury Management, Injury Prevention. NSW Motor Accidents Compensation Scheme. lawyers, Courts and the judiciary; NSW Roads and Traffic Authority (RTA), NSW Police and. Further Assessment of a Permanent Impairment - Motor Accidents. - Under section 62(1)(a) of the Motor Accidents Compensation Act 1999. This form is approved by. Relationship to Claimant (For example family, friend, lawyer). solicitors and have been re-lodged on or after 18. November 2004 are. calculate the compensation amount applicable for the claimed injury. by MA COUNCIL Australian Lawyers Alliance and the Insurance Council of Australia. CHAIR: You are a member of the Law Society Injury Compensation. Applying for legal aid - Additional information when applying for. the lawyers view as to risk of imprisonment, detention or being placed on. Appeal from decision of Review Office (Workers' Compensation). parties; whether any traffic charges arising out of accident and if so, outcome. 3 Workers' Compensation and Rehabilitation Act 2003 - s. sustained an injury to his right foot and he describes the injury as one where a cut to his right foot. Mr S. Sapsworth, Counsel, instructed by Sciacca's solicitors for. Review of Australian Sports Insurance Summary of a report. SCORS commissioned Rigby Cooke Lawyers to undertake a review of. Under the Scheme the Accident Compensation Commission (ACC). She has worked in private legal practice and as a corporate lawyer with a major. Steve Georgiadis is currently a member of the Accident Compensation. Motor Accidents (Liabilities and Compensation) Act 1973. from the MAIB, most insurance companies, some medical facilities, and lawyers. Catchwords: ACCIDENT COMPENSATION — Accident“ Compensation Act 1985 -~. For the Defendant Mr J.L. Batten Minter Ellison Lawyers. 1. Consultation. In the earlier years of operation of the Motor Accidents Compensation. Australian Lawyers Alliance, a MAS assessor and a CARS assessor). NSW Court of Appeal - Decisions of Interest 2010 - Supreme Court. Trazivuk v Motor Accidents Authority of New South Wales  NSWCA 287. review applications under s 63(3) of the Motor Accidents Compensation Act. Procedural fairness; whether solicitor who was unfamiliar with civil. CONTRACTS - Sale and exploitation of intellectual property. Rescom Lawyers P/L (ACN 133 519 892) v Dangerfield, Steven. ACCIDENT COMPENSATION - Workplace injuries - Negligence - Breach of. Latest Road Accidents stories on ABC Canberra. debate over proposed changes to the ACT Government's accident compensation scheme. Lawyers remain strongly opposed to the ACT Government's overhaul of Compulsory Third Party. MAIC Publication - Motor Accident Insurance Commission. on the operation of motor vehicle accident compensation schemes in those. The banning of touting on behalf of lawyers and controls on the nature and. FPM & APS May 2008 Submission ASA Review - Accident. Joint Subission to the Accident Compensation Act Review, Victoria. Physicians often blame lawyers for unnecessary disabiiity ciaims, citing contingency fees,. TY - BOOK AU - Laughton, Greg SN - 1740266463 PB - Continuing. Motor Accidents Compensation Act 1999. KW - Personal injuries - New. A- Hanna, Daniel A- College of Law (Sydney, N.S.W.). Continuing Professional. A structured settlement is a way of settling a claim for personal injury. of the injured person receiving a single lump sum payment of compensation from the defendant or. Structured settlements—information for lawyers (NAT 8630—6.2003). The Australian Lawyers Alliance (ALA) submits that 95% of claims are lodged. access to injury management and compensation that is focussed ori optimal. A structured settlement is a way of settling a claim for personal injury. sum settlement they receive at least part of their compensation in the form of periodic payments. Structured settlements—information for lawyers (NAT 8630—6.2003). INQUIRY INTO THE EXERCISE OF THE FUNCTIONS OF THE MOTOR ACCIDENTS. The Australian Lawyers Alliance supported and continues to support the. Relevant to the Motor Accidents Compensation Act 1999,. Workers' Compensation Common Law Matters: The Sheahan. Workers Compensation and Motor Accidents Compensation in NSW, by Marie Swain. of NSW (see below) and the Australian Plaintiff Lawyers Association. Lawlink NSW: Appendix C - Submissions Received Following Release. Report 43 (1984) - Accident Compensation: A Transport Accidents Scheme. New South Wales Society of Labor Lawyers. W54. Thomson, Mr. A. Northern Territory Tort Law Reform Working Group Report to the. relationship between the lawyer and another organisation or individual. claims referred to in s5 of the Motor Accidents (Compensation) Act,. The Accident Compensation Act 1985 (the ACA) and. your Employer Injury Claim Report. lawyer or union representative to make a request on your behalf, as. Submission - Inquiry into the impact of public liability and. - The Tasmanian Motor Accident Insurance Scheme abolished compensation for long. Lawyers in NSW argue that the 10% impairment has made the Motor. Workcover legislation amendment act 1995 : a summary of recent. At head of title: Young Lawyers Continuing Legal Education. The Accident Compensation Act, 197: incorporating the Accident Compensation Amendment Act,. Motor Accidents Compensation Bill 1999 [Act 1999 No 41]. lawyers and agents in connection with claims in similar terms to that applying in. Prior to his accident, Shane was a business analyst. Victoria's only other compulsory accident compensation scheme, the. Partner Minter Ellison Lawyers. Accident Compensation Commission New Zealand. ACTU. of lost income, medical bills and lawyers fees, injured workers are usually also suffering reduced. Outback Civil Pty Ltd v Francis  NTCA 3 PARTIES: OUTBACK. dismissed. Motor Accidents (Compensation) Act, s 4(1)(a)(ii), s 5(1)(a). D McConnel. Solicitors: Appellant: Priestleys Lawyers. Respondent: De Silva Hebron. HIGH COURT OF AU:lKAI.~. DX 204, Melbourne. Lawyers. FILED. manage the accident compensation scheme and administer the Act",. What are my rights if my partner dies? Who distributes my partner's. circumstances and you should see a lawyer as soon. If the accident was caused by someone's negligence,. driver, you may be entitled to compensation. family lawyer Julie Jackson, who was awarded. WA Woman Lawyer of. personal injury, inheritance, and criminal injuries compensation where clients have. find LEGAL answers - Crime and Offences - Apprehended violence. The bill makes amendments to the Motor Accidents Compensation Act. Law Society of New South Wales and the Australian Lawyers Alliance. a Notice of Accident Claim Form with the. CTP insurer of. Getting back to your day-to-day activities after an accident. Alternatively, you or your solicitor may. Inquiry intoaspects of Australian Workers' Compensation. (iv) In all states, more and more lawyers and doctors have become involved in the. death of the worker or for specific injury compensation under the scheme. scheme was amended by the Motor Accidents Compensation Act 1999. (the Act). as a lawyer includes general, life and reinsurance matters. Appendix L: Medical treatment injury under the NIIS - Inquiry report. Under New Zealand's Accident Compensation Corporation Scheme (ACC), a treatment. lawyer's willingness to accept a case on a no-win, no-fee basis. The Transport Accident Commission (TAC) was established and is governed by the Transport Accident Act 1986. The TAC. equitable personal injury compensation scheme in the. now has a lawyer seconded to PILCH on permanent. Negligence: The Last Outpost of the Welfare State - Supreme Court. The principles involved in ensuring a fair system of compensation, the. major category of accidents plaintiffs would receive compensation in practice. Lawyers tend to continue to refer to the test as being one of "reasonable foreseeability". 40+ items – Report 43 (1984) - Accident Compensation: A Transport. Australian Tramway and Motor Omnibus Employees' Association Trade. Motor accidents update / presented by Belinda Cassidy & Hugh. "NSW Young Lawyers' CLE - By Young Lawyers for the whole profession"--T.p. Subjects, New South Wales. - Motor Accidents Amendment Act, 1988. | Compensation. Australian Lawyers Alliance - Submission to the Extradition and Mutual. workers' compensation, public liability, motor vehicle accidents, professional. actions for damages or compensation for injury arising from a motor vehicle, up to $80 000; title. Usually no lawyers are allowed in a trial. Annual Report 2007/2008 - Motor Accidents Authority - NSW. experience as a lawyer includes general, life and reinsurance matters. Motor Accidents Compensation Scheme and consider issues referred to it by the Board. Part 4 Admission of local lawyers—Part 2.3 of the Act. Division Promotion of personal injury legal services. 113 Prescribed costs for services in workers compensation matters—section 329 (1) (a) and (f) of the Act. 1. causes of action unbelievable to a previous generation of lawyers. motor accidents, civil liability generally, and workers' compensation. Submission for second hearing loss claim - Accident Compensation. Section 97C(3A) (a) of the Accident Compensation Act, that person has a further Whole Person Impairment of 1x .278 = 3.336. This figure is. referred to a panel solicitor as and when stipulated by WorkSafe. AMA guides (fourth edition) and the Accident Compensation Act 1985, s.134AB (37) and (38). In accordance with earlier recommendations, membership should include non-lawyers. VI. FURTHER APPEAL. 16.87 The Accident Compensation Appeal Tribunal. 5A - Application for Special Assessment by the Claims Assessment. - Under section 96 of the Motor Accidents Compensation Act 1999. This form is. Motor Accidents Assessment Service. (For example family, friend, lawyer). to compensation for work related injury and disease, it is also important that the coverage and. lawyers, service providers like medical and health practitioners,. general information about workers' compensation and injury management contact WorkCover. reference bureau. • lawyers and law enforcement agencies. the National Conference of the Australian Lawyers Alliance, 21-23 October 2010. Authority and Motor Accidents Compensation Act 1999, 1August 2011. RE : The Review of the Accident Compensation Act 1985. I am 3 practicing. to be preferred by Workcover, lawyers and insurance companies. Their opinion is. Personal injury claim. Australian Lawyers Alliance. insurance (just look closely at any injury and illness compensation scheme) so why is it. FUNCTIONS OF THE MOTOR ACCIDENTS AUTHORITY. AND THE MOTOR ACCIDENTS COUNCIL - SIXTH. REVIEW. Organisation: Australian Lawyers Alliance. he wins in court he might be compensated for the reduced work options he. accident compensation avoids the need for costly and potentially. legislation to reflect changes in terminology concerning lawyers that have occurred. Report to the Workers' Compensation and Rehabilitation Commission. the Accident Compensation Act 1985 (Vic). Appendix Three:. Beliefs of Personal Injury Lawyers. The Australian Law Journal, 68(October), 734. The government also abolished the Accident Compensation Tribunal, thereby. In making this submission I mention that I have prectised as a lawyer in. by M BLACKBURN - 2010 - For example compensation for motor vehicle or workplace accidents in Victoria are generally. The practice has 3 full time lawyers working. Accidents Compensation Act 1999 (“the Act”) was conducted under a previous. consultants, lawyers, injury managers and health professionals. Specific. 1. Family Violence · Mining Tribunal · Motor Accidents Compensation. to attend an inquest, to be represented by a lawyer will be explained if. Victims of Crime: Plea Bargains, Compensation, Victim Impact. by R Johns - 200- Civil actions for personal injury, workers compensation, and other remedies that. the NSW Young Lawyers' Criminal Law Committee, and the District Court's. Report 43 (1984) - Accident Compensation: A Transport Accidents Scheme. with Recommendation 231, membership will include non-lawyers. - Accident Compensation Act 1985 3. 97 Transport Accident and Accident Compensation. In section 119(1)(b), for "attorneys, or" substitute "attorneys; or". Information for lawyers about changes to the tax treatment of structured. for motor vehicle accidents, sporting accidents, product liability,. There must be enough compensation money to fund the purchase of an. Other Intermediate Courts of Appeal in Australia - Decisions of. Complaint against lawyer; where Legal Services Commissioner. act judicially when providing opinion under the Accident Compensation Act. Tort Law Reform In Australia - Address To The London Market At. 3 Papers by AGS lawyers. Kenneth Eagle Senior Executive Lawyer. an injury; transport accidents; workers' compensation; victims of crime. Appendix 4 Actuarial projections of funding scenarios for the NSW. NSW Workers Compensation Scheme - Second Interim Report. 2. respect of an injury cannot be commuted to a lump unless WorkCover is satisfied that:. Solicitor's advice that written consent must be obtained from each individual insurer. Sparke Helmore Lawyers are recognised leaders in Commonwealth workers' compensation, advising on the management of physical and psychological injury. COMPENSATION ARRANGEMENTS IN THE EVENT' AN ACCIDENT. surprising how long some lawyers retained by claimants take to provide the necessary. 3 The TAC is governed by the Transport Accident Act. 1986 that. of compensation for transport accidents. • Reduce. accidents. • Determine claims for compensation quickly. A number of the TAC's in-house lawyers also. CITATION: Betty Millar v ABC Merchandising and Sales [2011. Work Health – injury -causation –vulnerable knee – multiple causes-. compensation – burden of proof –section 54 Workers Rehabilitation and. sometime in 2009 and in particular she engaged her solicitors in July 2009. - Under section 63(1) of the Motor Accidents Compensation Act 1999. This form is. Motor Accidents Assessment Service. (For example family, friend, lawyer). - Responsibility for the laws relating to personal injury compensation lies generally with the States and Territories. But the Federal Government can. the importance of personal injury law as a source of compensation for injured. community as a whole (and not solely lawyers, medical practitioners, members. is the Accident Compensation (WorkCover Insurance) Act. 1993 (the ACWI Act);. 178 The Australian Lawyers Alliance (a plaintiff lawyers group). - It manages personal injuries litigation under the Accident Compensation Act 1985, and ensures both the delivery of benefits and the financial. Basics, Motor Accidents Act / presented by Audrey Balla | National. "This paper was presented by NSW Young Lawyers on the 7th May, 1996". Motor Accidents Compensation Act 1999 / presented by Audrey Balla & Geraldine. The District Court of New South Wales has jurisdiction to hear motor accident. The plaintiff lawyers, or as, they call themselves, trial lawyers of New York City,. of workers' compensation and compulsory third party motor vehicle schemes and. Accidents and Compensation. who can assist with your complaints about discrimination, goods or services, pollution, lawyers, housing or any other matter. There is a general acceptance that early access to rehabilitation and injury. Heads of Workers' Compensation Authorities, Promoting Excellence: National Consistency in. 77 Australian Plaintiff Lawyers Association, Submission No. 39, p.
Associate Commissioner and Independent Panel appointed to.
. disability and accident compensation - particularly lifetime care and. Mr Grano is a lawyer currently employed as the Legal Officer in the. Health and Other Services (Compensation) Legislation Amendment. Double-dipping occurs when a person receives a compensation payment to cover. care costs relating to their injury and does not reimburse the Commonwealth for. consultations were conducted between government, insurers and lawyers,. 3 3.- Difference - Accident compensation and FoI Acts. lawyers or the provision of legal services including representation in court. Motor Accidents Compensation Amendment Bill 2010 - 09/11/2010 - 2R. The bill amends the Motor Accidents Compensation Act 1999 to provide. The Australian Lawyers Alliance also held a similar reservation as. Numerous amendments to the Motor Accidents Compensation Bill were. seminar sponsored by the Australian Plaintive Lawyers Association,. 3.- Difference - Accident compensation and FoI Acts. lawyers or the provision of legal services including representation in court proceedings. Motor Accidents and WorkCover Schemes Reforms - 19/09/2006 - QWN. The proportion going to lawyers has reduced by a third and the average. On both occasions when the workers compensation motor accidents. File Format: Rich Text Format - No doubt there will be some reluctance to allow the lawyers to control the. law compensation in Victoria as many personal injury lawyers in Melbourne. 9.19 The New Zealand Accident Compensation Act has contained provisions dealing. In a submission to the Commission, a New Zealand lawyer and trade union. Report 4(1983) - Accident Compensation Interim Report: Workers'. 4.17 The New South Wales Society of Labor Lawyers19 approved in. Motor accidents / presented by Hugh Marshall ; Isobel Holthouse. "This paper was presented by NSW Young Lawyers on the 11th February, 1998.". Compensation (Law) - New South Wales. | Accident law - New South Wales. Fault free motor accident compensation scheme / Edward Epstein interviews I. of the fourth seminar in the series "Australian lawyers and social change. Motor Accidents Compensation Amendment Act 2006 No 17,. (d) Australian lawyers appointed by the Minister after consultation.
. insurers and their lawyers, with little likely increase in the. This year, through the Motor Accidents Compensation Amendment. File Format: Rich Text Format - 1. on a no fault accident compensation scheme for transport accidents. One fundamental reason why lawyers and courts frequently are the. Title: Accidents and injuries, Vol 2, Lawyers practice manual NSW. Publisher: Thomson Reuters. Description: Covers workers compensation,. - It is common knowledge that lawyers often take more than 50% of small settlements. while no one can sue for personal injury, all people in NZ who have an accident. Workers Compensation levies charged to Employers but there are no. The LIV supports and welcomes the review of the Accident Compensation Act E985 (the. signiﬁcant consequences for a lawyer's professional liability. Trove - Accidents at work, compensation for all : the evidence of. Accidents at work, compensation for all : the evidence of the Society of Labour Lawyers to the Royal Commission on Civil Liability and Compensation for. An Act to amend the Motor Accidents Compensation Act 1999 to make further. (1) The Minister is to appoint a person who is an Australian lawyer. As members will recall, the Motor Accidents Compensation. The New South Wales Young Lawyers Human Rights Committee sent me an email on. Motor Accidents Compensation Amendment (Medical Assessments) Bill. Section 6of the Motor Accidents Compensation Act 1999 provides for medical. such as the Australian Plaintiff Lawyers Association,. In enacting the Motor Accidents Compensation Amendment. Concern has been expressed by many lawyers and the Law Society of New South. Basics Motor Accidents / presented by Shauna Jarrett | National. "This paper was presented by NSW Young Lawyers on the 3rd August, 1999". Subjects, New South Wales. - Motor Accidents Act 1988. | Compensation (Law) - New. - employer in a proceeding under the Accident Compensation Act 1985 has the. *a solicitor in the firm of [name of firm], solicitors for the plaintiff,. under the Accident Compensation. (WorkCover Insurance) Act 1993. lawyers with predictable and fair remuneration. It is proposing a national accident compensation scheme under which. The government says that greedy lawyers are to blame for spiralling public liability. It documents information about the Act and the compensation scheme and proposes a best. If a claimant is represented by a lawyer at CARS, the claimant may be. in the light of the amendments to the Motor Accidents Compensation Act. The CARE Group is of the opinion that the Accident Compensation. determination is a formal hearing, and solicitors are involved. At the. p>10.4 The ICF and accident compensation in Australia John Walsh, Actuarial,. of damage (and in total) is agreed between plaintiff and defendant lawyers,. Chairman, Accident Compensation Standing Committee. The Law Council represents all lawyers in Australia. There are 1constituent bodies. and Australian Lawyers Alliance, to develop. to recover from the TAC under the Accident Compensation Act 1985, all compensation payable under the. Motor Accidents Compensation Bill - 29/06/1999 - 2R COMM - NSW. MOTOR ACCIDENTS COMPENSATION BILL. Second Reading. In other words, the lawyers often inflate the claimant's expectations of a result. Submission 353 - Clewett Lawyers - Caring for Older Australians. Australian Lawyers Alliance submission to the Productivity Commission. workers' compensation, public liability, motor vehicle accidents, professional. in accordance with the Accident Compensation Act 1985, workers injured between 12. in the submission by the Austraiian Lawyers Aiiiance, Section begins. Motor Accidents Compensation Bill - Parliament of New South Wales. MOTOR ACCIDENTS COMPENSATION BILL. Second Reading. The Australian Plaintiff Lawyers Association had this to say about the American. (d) Compensation where the motor vehicle involved in the accident was not. make regulations to regulate advertising by lawyers and agents in connection.